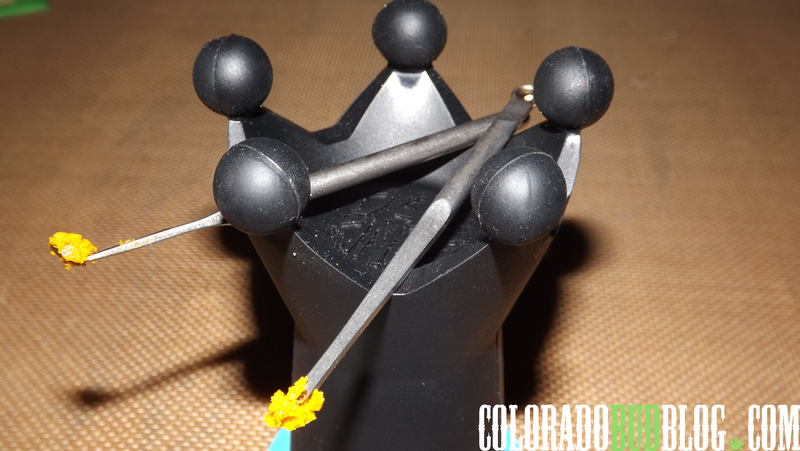 Start dabbing like a king with the Nail Crown from Dab Kings. 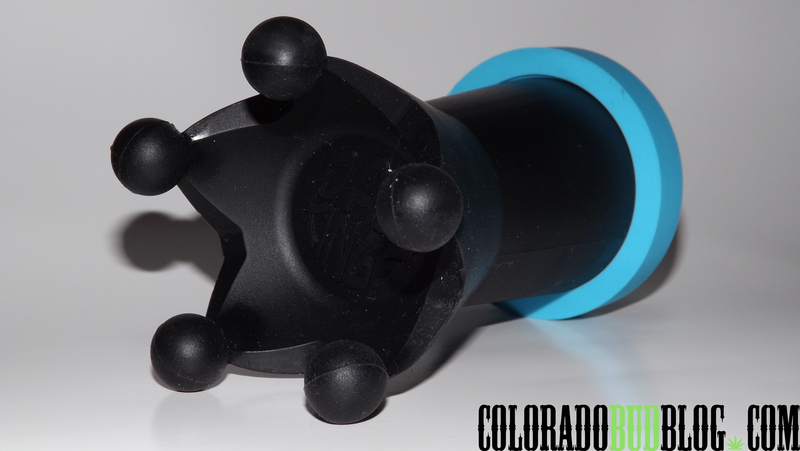 The Nail Crown is a handy new product for the dabbing enthusiast. It is essentially a silicone crown with a hollow inside. 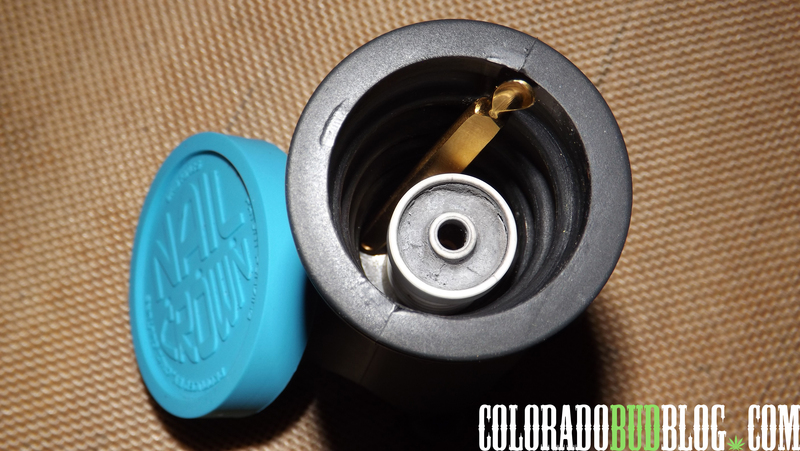 It can be used as a stand for your dabbing tools and a storage device for your dab nail. There are 5 points on the crown that have curves in between each one that will hold your dab tools without letting them roll over. 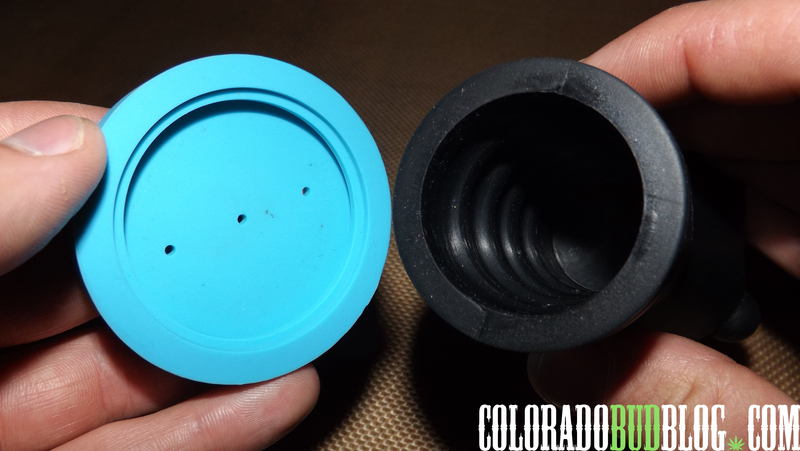 The bottom of the Nail Crown opens up a 3 3/4″ deep by 1 1/4″ diameter storage area for your dab nails. There are 3 small holes in the bottom to help any heat from the nail escape. Use the Nail Crown to safely grab your dab nail while it is still hot. While silicone is heat resistant to about 450 degrees F, it is NOT RECOMMENDED to put a freshly heated nail inside. If the nail is too hot, it will definitely melt the silicone, which would be a mess and a shame. Always remember to wait a minute for your nail to cool down a little before touching it with the Nail Crown. The storage area will safely house your dab nails, and even dab tools if they are small enough. I especially like using the Nail Crown with my HIVE Ceramics nail since it is more fragile than the average nail. I really like the Nail Crown from Dab Kings. 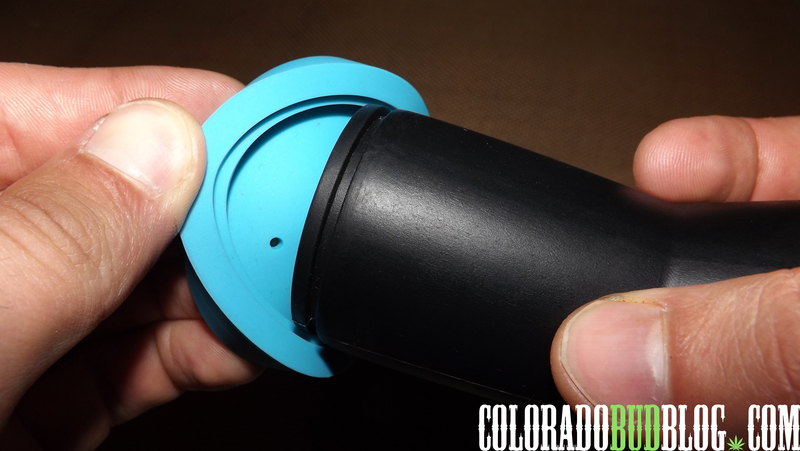 It works great as a dabber stand as well as a storage device to keep your dab nails safe. I would highly recommend this to any serious dabber that wants to make sure their expensive dab nails don’t break. The design is really cool and looks great on the coffee table. 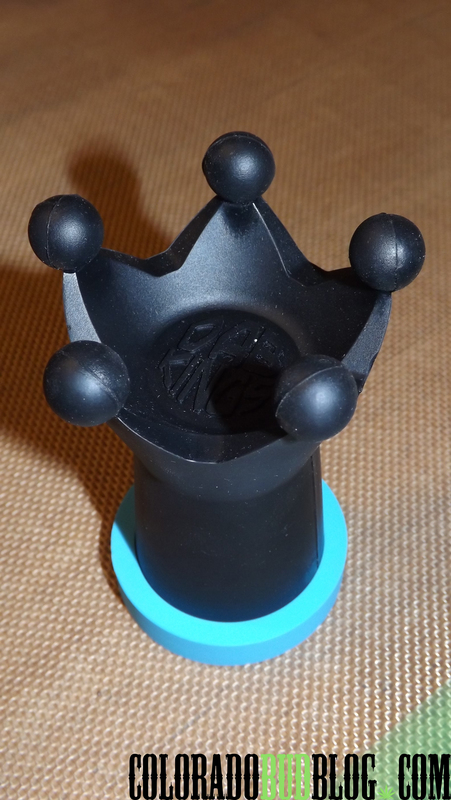 Become dab royalty by picking up your own Nail Crown from Dab Kings at www.dabkings.com.